I was never one to fill in my eyebrows when I was younger. I have always had fuller brows but my hair is not very thick. It wasn’t until I met Daria that I even gave filling in my brows a thought. And now I would never turn back. I have tried powders, gels, and pencils to fill then in. I prefer a pencil and right now I have two in rotation, the Anastasia Brow Whiz and the Hourglass Brow Arch. I am now on my second Anastasia pencil. I use the shade Ash Blonde. I absolutely love this pencil. It gives you such precision and the color looks great on me. When I am going for a strong brow I use this pencil. It is a bit dark but I tend to like my brows being darker then my hair. 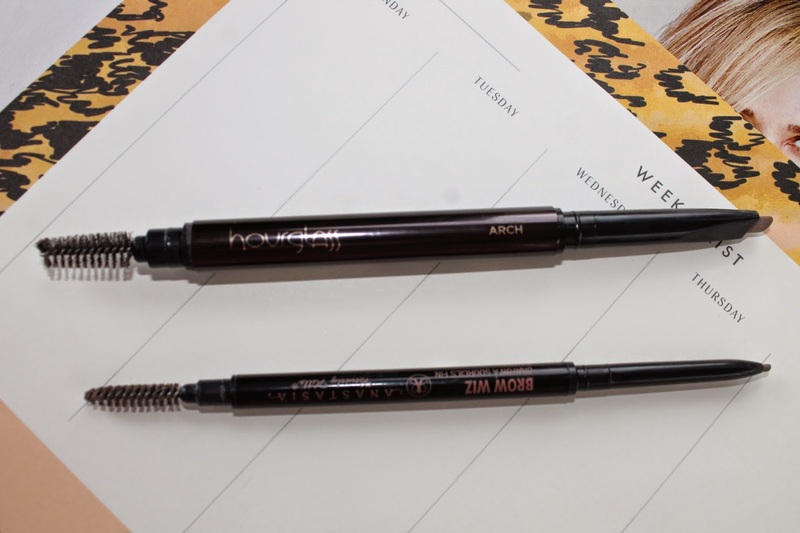 And then we have the Hourglass Arch Brow pencil. I picked this up on a whim after hearing Anna talk about this. And I do enjoy it. 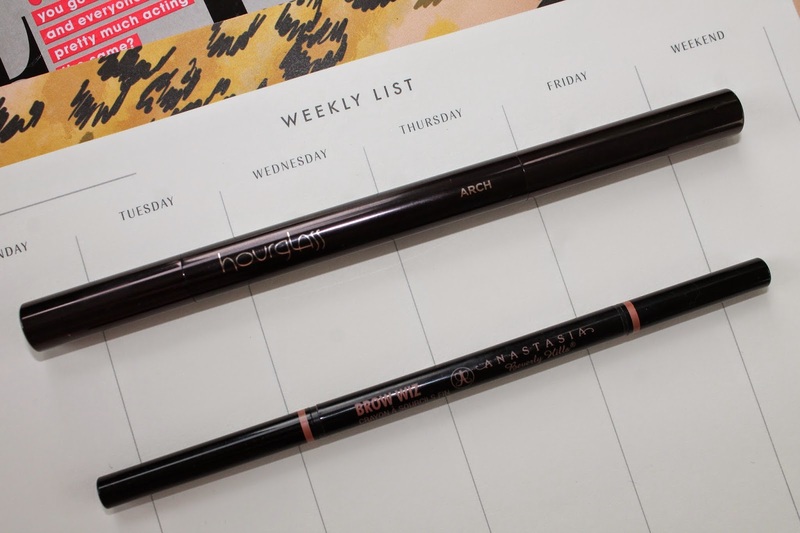 It is a much thicker pencil then the Anastasia one. I tend to lean towards this one when I am going for my no makeup, makeup look. It is lighter (I have the shade Blonde) then my Brow Whiz. Overall I do enjoy both but, I tend to grab my Anastasia one more. And I think it’s because it is thinner and very easy to use. The Hourglass one tends to take more time to use. 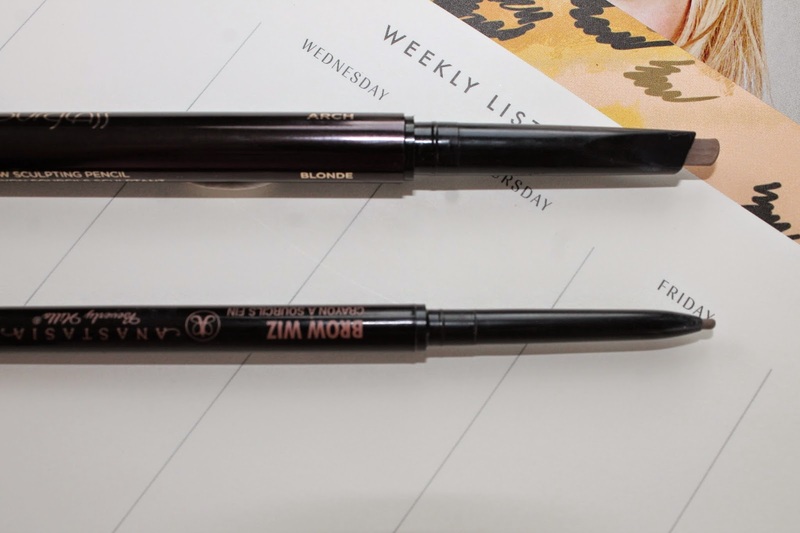 What is your favorite brow pencil ?? ?